I put blobs of watered down paint onto a damp piece of paper with an eye dropper. R attempted to blow the paint around with a straw. 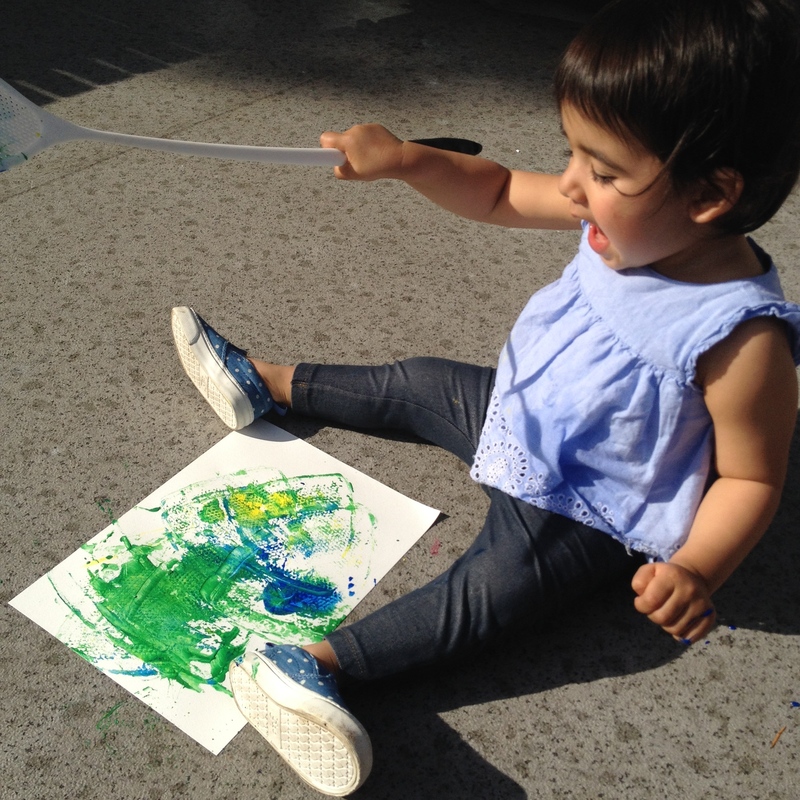 Sometimes she got the hang of it, other times she tried to brush at the paint with the straw, or she blew any where but the paper and still other times, she rubbed the paint by hand. This is an activity I’ll try with her again when she is older and has better coordination! I added googley eyes and mouths with marker. a. 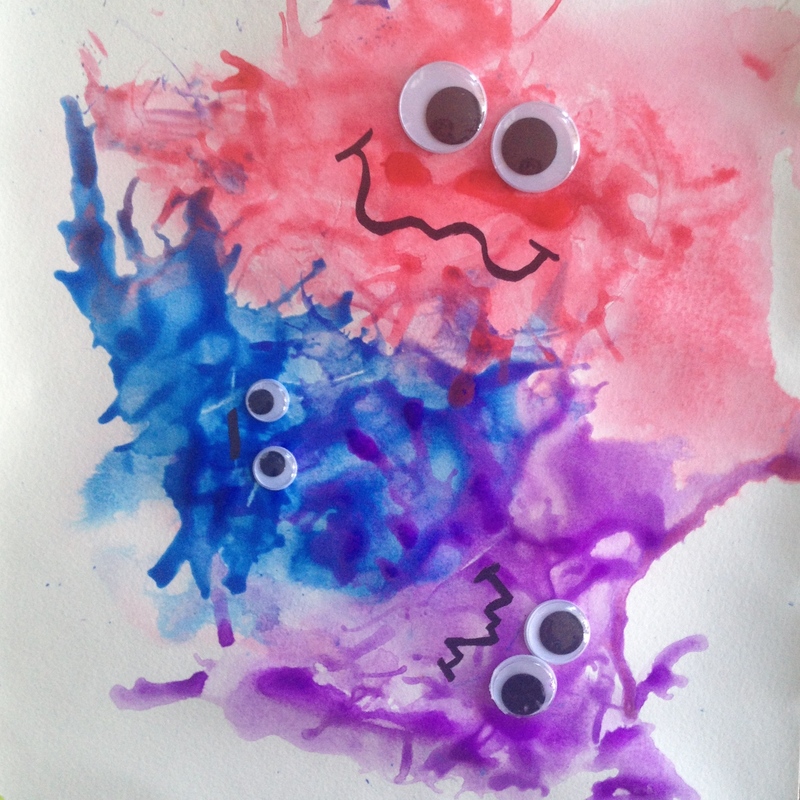 Discuss what each monster might be feeling and have the child add expressions to his/her own monsters. 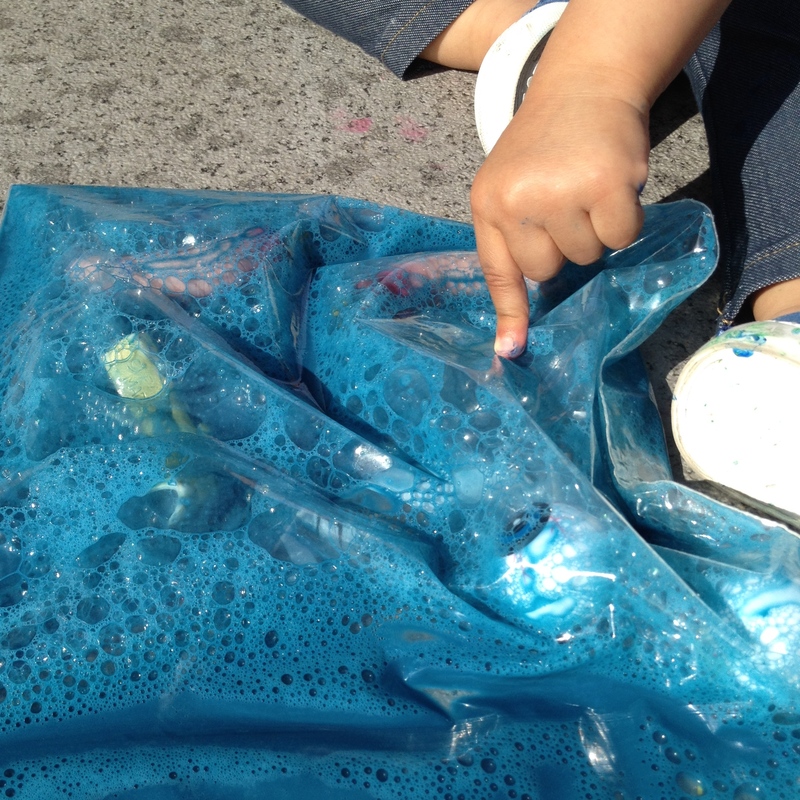 c. Older children can use their monster puppets as inspirations for writing a monster story. R LOVED this activity! I put three blobs of paint (not watered down) onto a piece of paper and R whacked the ish out of the paint! She screamed and cheered and growled as she did it! Just a warning, this is a really messy activity as the paint splashes a lot. I’m definitely going to do it again with her since she had soooo much fun! 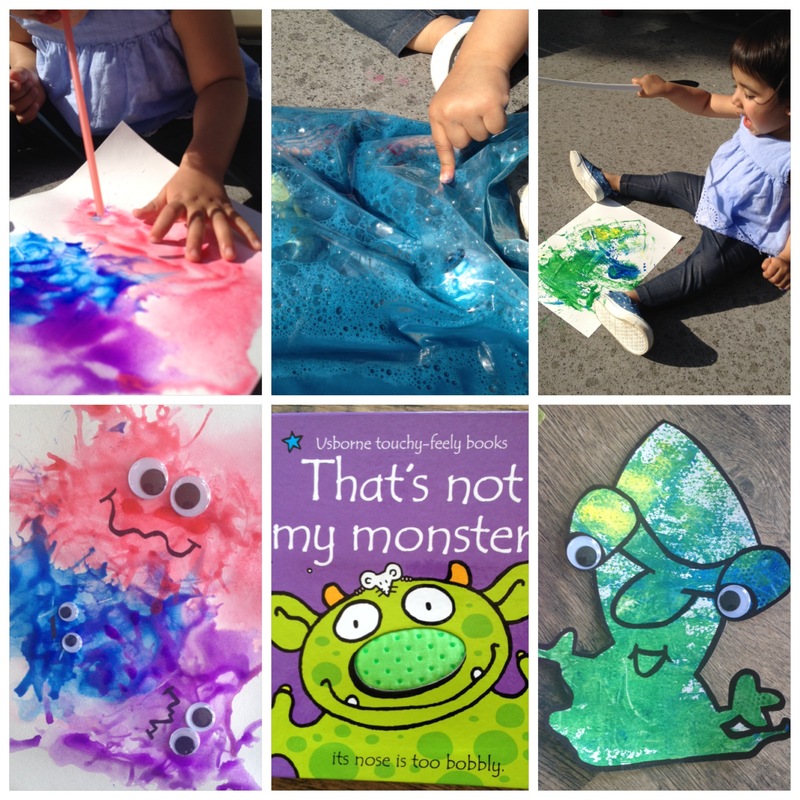 I used formation of the paint splatters to create an outline of a monster that I then cut out. a. Have the child create the monster outline him/herself. b. 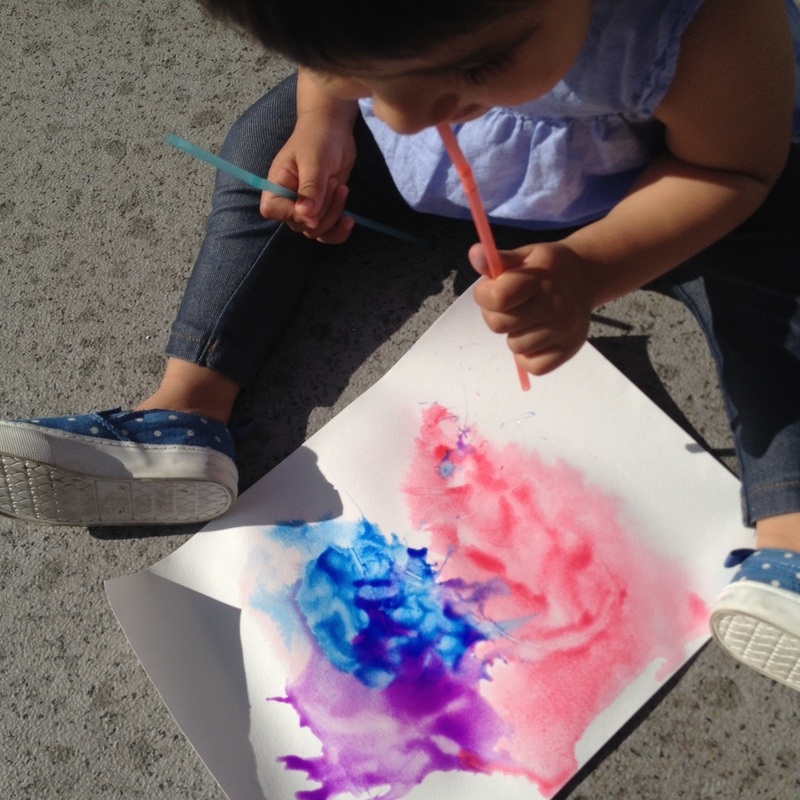 Use this as a colour mixing activity by adding only two primary colours at a time. Use all the fly swatter monster to create a whole monster family and have the child name each member.